Q: Please what is the main purpose of preparing a cash flow statement in an organization? A: Very good question. 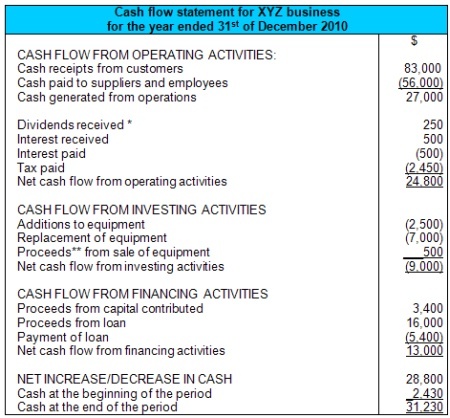 The purpose of the cash flow statement is to present the flows of cash in a business. But why is this important and do we really need it? We already have the balance sheet , which is supposed to show a snapshot of the business (assets, owner's equity and liabilities) and how the business is doing. 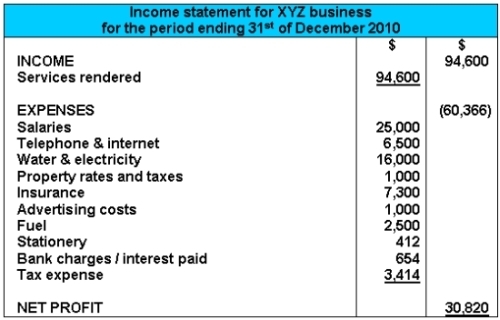 We already have the income statement , which shows the incomes, expenses and profit for the business. So why do we need the cash flow statement? Isn't income and cash the same thing anyway? Aren't expenses all cash payments? ANSWER: Income and cash are not the same thing. And expenses can occur without paying them. The income statement shows income, which can be actually received in cash but sometimes can be performed on a credit basis (i.e. the cash for the income is still owed to the business). And it shows expenses, which, like I said, can occur during the year and not yet be paid. You can even have a situation where the business has made lots of income, but it's almost completely on credit and has hardly received any cash. 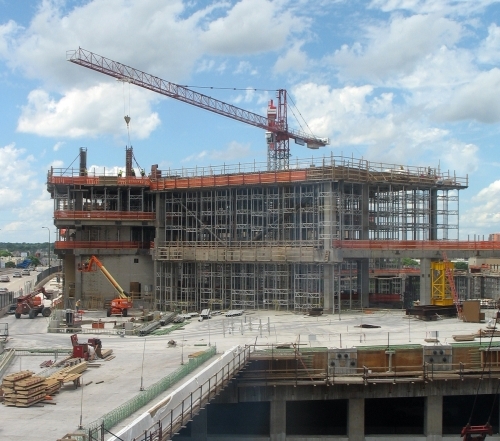 For example, XYZ Incorporated (a construction company) makes $2.5 million income for construction projects completed during the year but only receives $800,000 cash from its clients for these projects. In this situation you could have the income statement showing $2.5 million in income , and let's say $1.5 million expenses (for example), resulting in $1 million profit . But the business only received $800,000 cash so far. Let's say it paid out all $1.5 million expenses during the year. That means it has negative cash of $700,000 (i.e. bank overdraft, meaning money owing to the bank). Which is a terrible situation. But if you only were able to view the income statement it would show profit of $1 million ($2.5 million income - $1.5 million expenses). So as you can see, the cash flow statement would show us some additional key information in this situation as to how the business is doing. In this situation the business is actually in a major cash crunch or emergency! Additionally, you can have major movements in cash for the year that do not involve income. 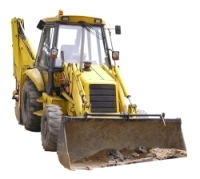 For example, you can spend $150,000 on a construction vehicle. As this is a non-current (long-term) asset, it would not be recorded as an expense in the income statement, but just as an additional asset. This is $150,000 outflow of cash for the business, which could also be very useful information to know. Or you can receive an investment of $500,000 in your business from a new business partner/investor. This would be included in the statement of changes in equity and in the balance sheet as new equity but it wouldn't even appear in the income statement as it's not income. So in comparison to the income statement, the cash flow statement specifically shows all the flows of cash - all the cash that came into the business and all the cash that went out of the business. So, in summary, what is the purpose of the cash flow statement? It is to show additional information (besides the income statement, statement of changes in equity and balance sheet) to people who are interested in how a business is doing. And that additional information specifically concerns the flows of cash, both in and out of the business. Hope that gives a better understanding of the purpose of the cash flow statement. It is to know from where the cash has come and how it has gone. It is different from income statement as income statement includes non cash items like depreciation and amortisation expense which are non cash. There may be negative cash flow from operating activities but at the end there may be positive figure because of cash inflow from financing activities like owners equity or loans, but this is not a healthy sign for the organisation.